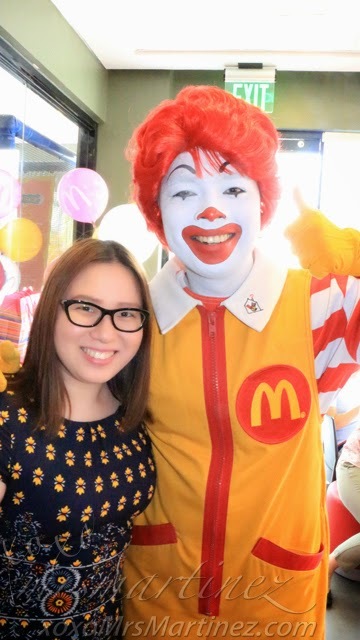 Before I left for Hong Kong, my family and I attended a McCelebrations Kiddie Birthday Party at McDonald's Roosevelt Baler. 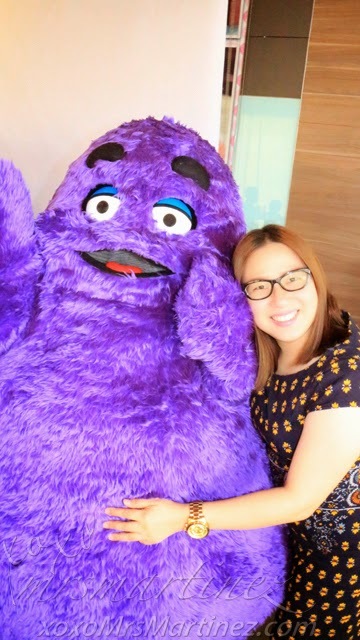 It was a very heartwarming event and at the same time, it was also filled with many surprises! Check out the story below. Oh, how cute is this baby! Isn't the birthday girl adorable?! 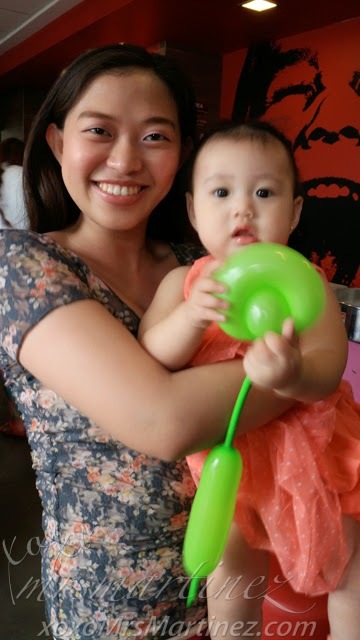 I miss her round face which, by the way, earned her the moniker- bilog. There were only a few kids that's why most of the games were for adults. In a few fun times that kiddie games were played, my daughter was able to participate and won too! Her "practice" at home paid off. 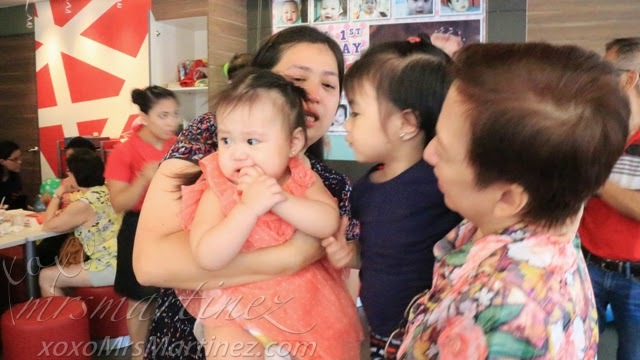 She would casually asked members of the family, "Gusto mo join?" 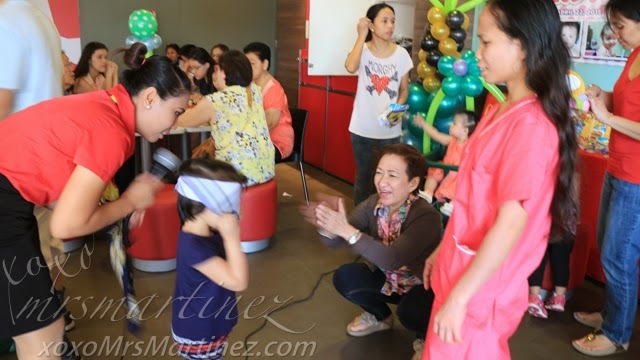 A signal that she wants to play games complete with props like chairs for Musical Chairs and a toy microphone for the Longest Greeting game. 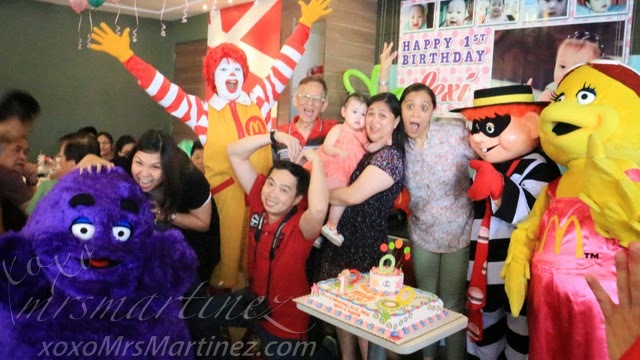 Ronald McDonald and his gang made a surprise appearance at Lexi's 1st birthday party. Everyone was ecstatic including my family! 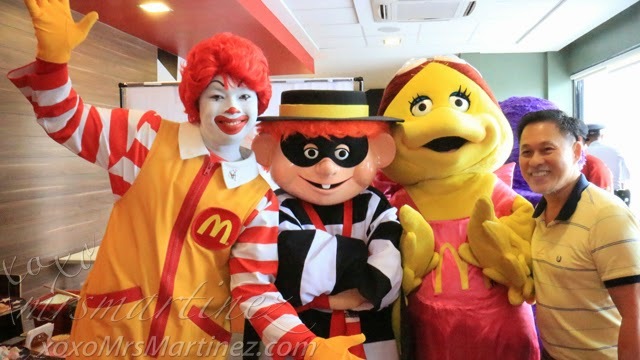 You see, Ronald does not make appearances under normal circumstances but since Lexi is a superduper special girl, Ronald decided to pop in for a surprise visit. 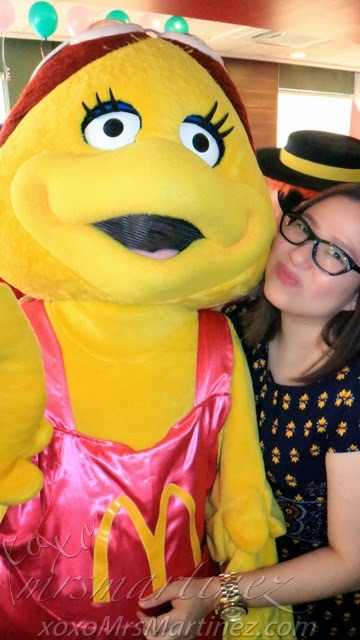 To make his visit worthwhile, he rendered a special dance number and took time to mingle with guests. Okay, someone (that's me!) got carried away. 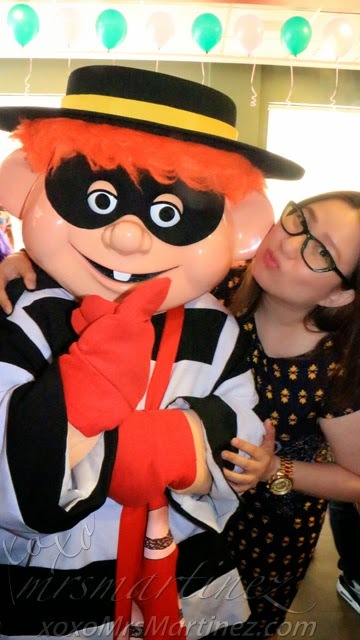 I was not going to let this moment pass without having my photo taken with all the members of his gang. Everyone in the entire room was speechless when the AVP was shown. 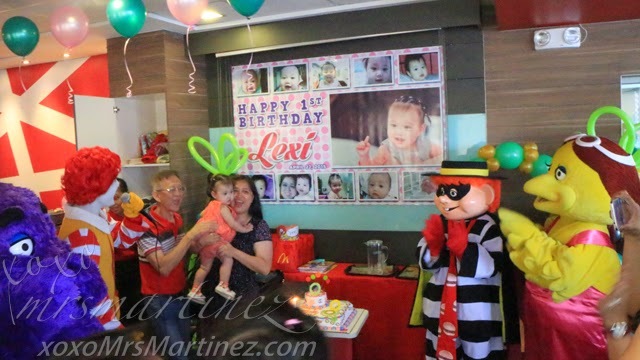 Lexi's mom was in tears by the end of the video and could hardly even talk when it was time for her to thank everyone who came and joined the celebration of her daughter's first birthday party. 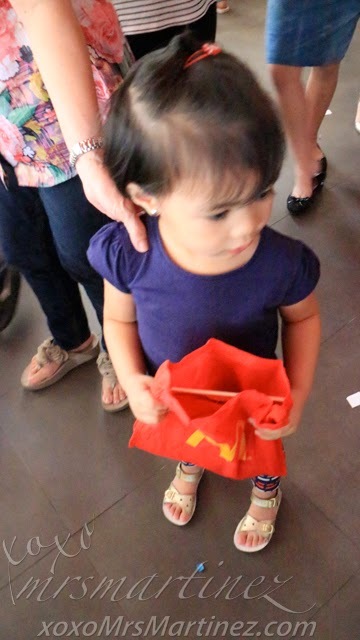 Every kid took home a loot bag from McDonald's. My daughter was so happy that she could not stop talking about Lexi and her party for the next couple of days. 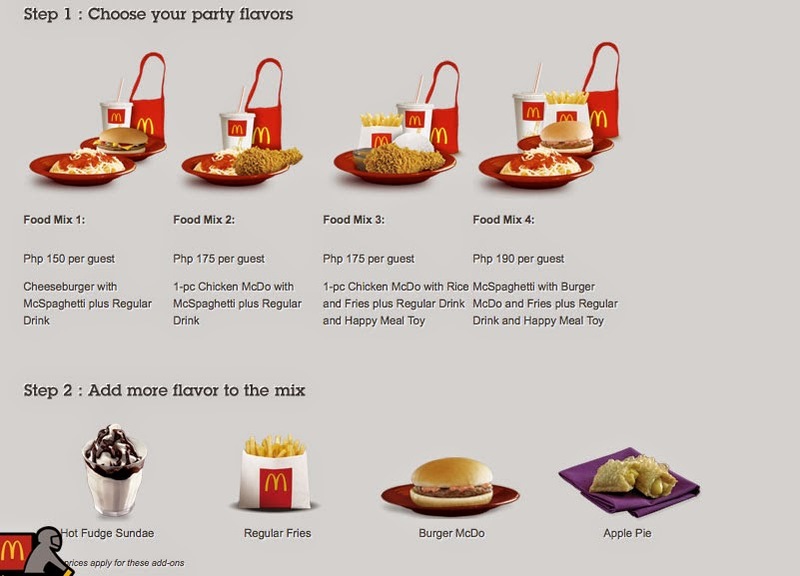 You can book your own McCelebrations by visiting a McDonald's party store near you. Care to share your McCelebrations experience?